This article is brought to you by Willis Towers Watson. 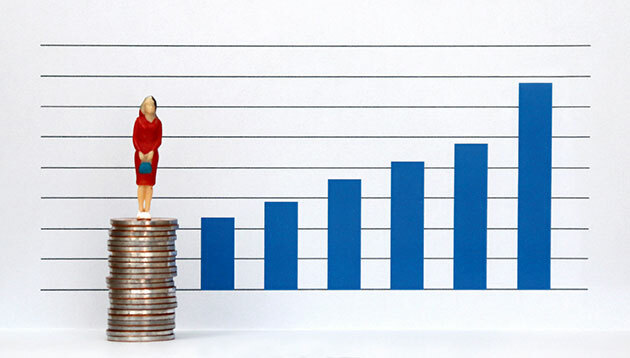 Shai Ganu, MD, and rewards business leader – Asia Australasia, Willis Towers Watson, brainstorms with Aditi Sharma Kalra on the action items to resolve the gender pay disparity. The gender pay gap has been a workplace reality for years. The World Economic Forum’s 2017 Global Gender Gap Report calculated that at the current rate of change it will take 217 years to close the global economic gap between genders. 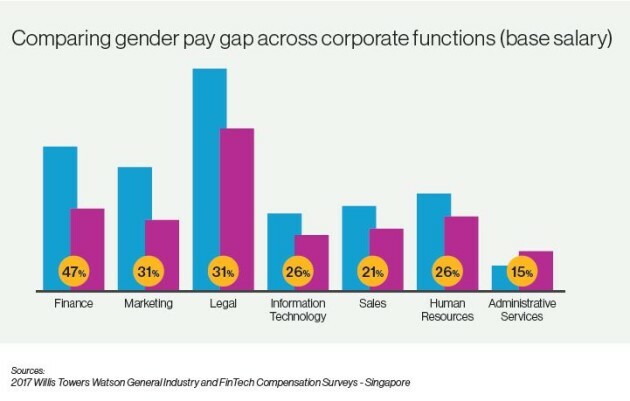 The issue hits close to home, with Willis Towers Watson research showing that women in Singapore earn about 25% less than men – most commonly in banking, financial services, and real estate sectors. An industry expert passionate about resolving gender pay disparity is Shai Ganu, managing director, and rewards business leader – Asia Pacific, Willis Towers Watson. In his view, this is a societal issue as much as a business issue, given that on average globally, for every one dollar a man makes, a woman is paid 80 cents. “However, I don’t believe this is the result of an intentional policy. Often, pay gaps reveal the symptoms – not the underlying causes. There are other factors involved,” he points out, in an exclusive interview with Human Resources. 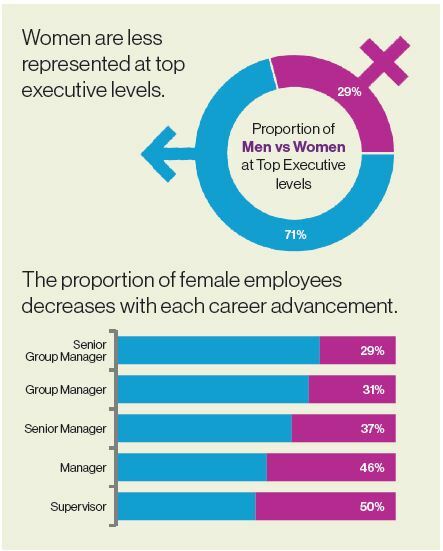 One of the factors is the proverbial glass ceiling. “As we go up in seniority and experience, the proportion of women at higher levels reduces, especially at about the 10-year seniority mark. So even if progressive companies achieve ‘same pay for same job’, it doesn’t solve the problem,” says Ganu. This stark reality was in evidence recently, with UK’s brand-new legislation coming into effect. It mandates that companies with 250 or more employees must annually report the median and mean percentage difference in hourly pay, which highlighted data on the gender pay gap as well as the lack of women at the top. However, this may change in the future. Willis Towers Watson’s research on the future of work suggests that a critical skill in the future will likely be ‘learning agility’ – which may well be aligned with humanities and arts, he adds. This begs the question, what can be done differently to bring back these women into the promotion cycle? On the state front is legislation, where for example, in some states in the US, a law has been passed where you are not allowed to ask any candidate their current salary, something that Willis Towers Watson is also implementing. It is also important to look at talent management with a lens of diversity. This phenomenon is not only linked to promotions, but also hiring. “At Willis Towers Watson, every senior hire requires at least one woman candidate and at least woman interviewer. The hiring remains merit-based, as it should be, but it is more about ensuring broader diversity of thought and experience on both sides,” Ganu shares. Another aspect is research on how you phrase a job description and how that attracts different kinds of candidates. “If you use words such as “outcome” and “result,” it will be more likely to attract male candidates. While using words such “nurturing” and “development” will be more likely to attract female candidates,” Ganu says. Also, specifically to address the gender pay gap, in the annual salary review companies should start mentioning and monitoring how much of the bonus pool, and the average salary increase, is going to men versus women, another initiative that Willis Towers Watson has keenly picked up. What is your organisation keen to do (or doing) regarding the gender pay gap? Finally, companies should adopt sponsorship and mentorship programmes to encourage women to apply to senior and stretch roles. Ganu shares some interesting research, saying women are more reticent to apply for stretch assignments; even though they may have stronger experiences and credentials compared to male candidates, who are more likely to apply for such roles. “At Willis Towers Watson, we post all vacant roles internally and encourage female candidates to apply,” says Ganu. Data analytics to get the right fact base – Reporting is the key first step, and good analytics can help uncover root causes. Embed a diversity lens in talent management – For promotions, stretch assignments, as well as all internal movements. Adopt inclusion and diversity in the hiring process – Build recruitment processes that promote gender equity and gender parity. Avoid unconscious biases during salary review process – Implement special interventions and ongoing monitoring to address pay gaps. To learn more about best practices in remuneration, visit https://www.towerswatson.com/en-sg/Services/our-solutions/rewards. There will also be a focus on Industry 4.0, said deputy minister of International Trade and Industry Dr Ong Kian Ming. ..